OhMyVera! A blog about all things Vera Bradley: Moving Day!! Over the weekend I moved...but just here locally. 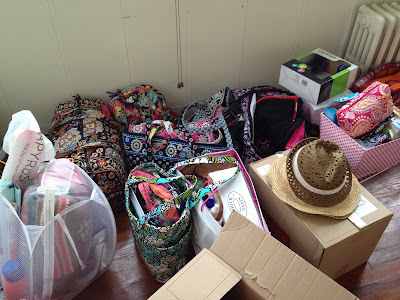 I used a lot of my Vera Bradley bags to move...here is a picture of the pile in my new place. Very colorful!! !